Jara Jivantika Puja is mainly Every Fridays in the Shravan Month in Maharashtra and Gujarat. 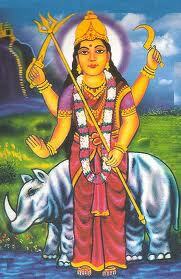 In 2013, Jara Jivantika Puja dates are August 9,August 16,August 23,August 30. This Vrat fulfills all auspicious desires. It destroys the miseries of the whole family. She protects children day and night. Those who worship her, with single mind can get their work done by her grace. Jara Jivantika Puja is mainly observed on Fridays in the Shravan Month in Maharashtra and Gujarat. 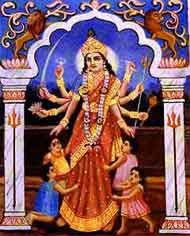 In 2013, Jara Jivantika Puja dates are August 9,August 16,August 23,August 30. 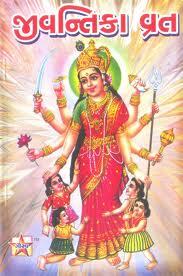 Jara Jivantika Vrata is dedicated to Goddess Ma Jivantika – Hindu goddess who is the protector of children. She is also believed in helping couples to get children. 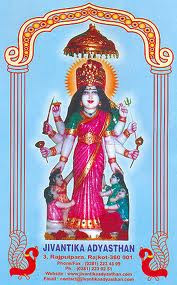 Goddess Jivantika is worshipped on all Fridays in Shravan month. The mantra that is chanted on the day is "Om Shri Jivantikayai Namah." She dwells near those who constantly chant. Her Manntra, "Om Shri Jivantikayai Namah" This Vrat can change even fate which is generally not possible. This Vrat can prolong life This Vrat brings new babies in the family. Her grace can bring up children merrily. Women who observe the Vrat wear only red clothes on the day and avoid social functions. After the morning bath, she performs an Arati to Goddess Jivantika. After the puja, some rice is held in the hand and the devotee asks the Goddess to protect her children and then she sprinkles the rice on the head of the children. to you and your Child & family members.